There are currently two parsers available: usaddress for addresses and probablepeople for names. For more, read our blog posts on Parsing addresses with usaddress and Parse names and parse ... anything, really. We built everything open source under the MIT License so others could benefit from this work. With the probabalistic approach that parserator parsers use, we can continue adding examples to our training dataset, and the model will continue to learn and improve in performance. For this purpose, and for service monitoring, we may retain text submitted to this site. We only log address when an error occurs or when an incorrect parse is reported. 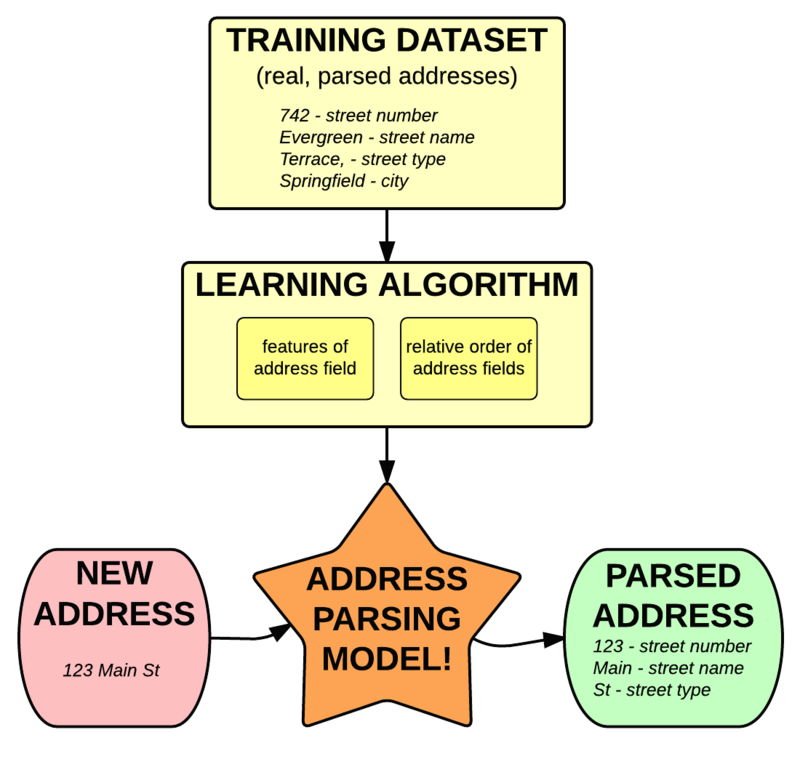 In the case where we deem an address is a good candidate for training, we will train the parser on another address that we can find publicly that has similar features, not on the submitted address itself. Need help parsing a lot of addresses? Looking for guidance on creating your own parser? Contact DataMade.